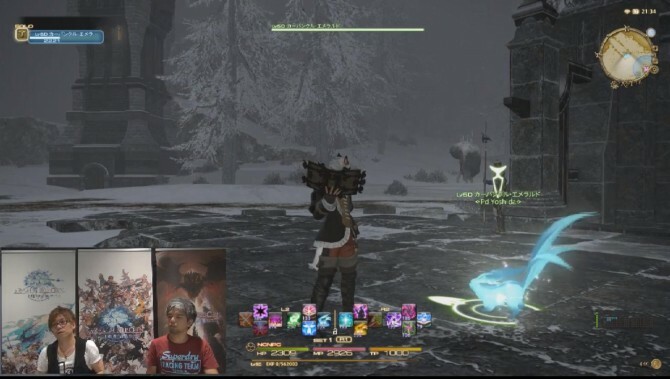 Today the Eighth episode of Final Fantasy XIV: A Realm Reborn‘s Letter from the Producer Live was broadcasted, starring Producer and Director Naoki Yoshida and Community Manager Toshio Murouchi. After an absolutely hilarious pre-show in which Yoshida-san was asked about his noodles tastes and his habit of roleplaying female characters, we got into the meat of things, and there was definitely a whole lot to be discussed. Below you can find the official translation of all questions and answers (provided by the Square Enix community team), and my personal notes in italics, since the official translations omit some stuff that is sometimes relevant. At the bottom of the post you can also enjoy the relevant screencaps from the stream. They started by showing fishing, explaining that there will be many different baits and unknown fishing spots to discover. They also shown the very extensive fishing log. Looks like there are a lot of different fish to find. There are fish that can only be caught at at night or with a certain weather, while high level fishing includes fishing in the desert and fishing for flying fish. There will be methods to discover those that use bots and macros for fishing. Q1: When is Open Beta and Early Access? A1: Beta Test phase 4 will run from August 17-19. Those who participated in the Beta Test phase 3 will be able to participate from August 16th. Early access will run from August 24th until the 26th with official service begins on August 27th, but the servers won’t go down after Early Access, so you’ll be able to play non-stop from August 24th. This is quite a bit later than many expected, but turns out the rumor I broke a few days ago was actually correct. They also added that there will be a level cap of 20 during the open beta. Q2: What type of restrictions (including the level cap) will be implemented in phase 4? A2: First, the level cap for phase 4 will be set to level 20. Therefore, game content will also be restricted to that which can be done within level 20. Please note that the content itself is exactly the same as the retail version of ARR. Q3: The characters we create in Beta Test phase 4 will carry over to the official release, but will the items, quests, and other data besides our appearance also be carried over? A3: Yes, everything will be carried over. Q4: Will a screenshot feature be added to the PlayStation 3 version in Beta Test phase 4? A4: Yes, we will be implementing this. Q5: Will the arcanist class be available in phase 4? A5: Yes, it will be available in phase 4! Q6: Is there anything you would like for us to test specifically in phase 4? A6: There are two things we would like you to test in phase 4. First, we are planning to do a stress test on the housing area (mainly to see how the graphics will stress the system). A housing area will be released in the La Noscea area during the stress test so please come check it out! Second, the PvP system. While the content was referred to as the “Coliseum” up until now, we have changed it and it is now known as the “Wolves’ Den.” We would like the players to test the basics of the PvP system (i.e. attack ranges, etc.). Therefore, the PvP-specific actions will not be available during the PvP test. Therefore, you will only be able to use your basic attacks at this time. However, you must be level 30 to enter the “Wolves’ Den.” Since the level cap of phase 4 is set to 20, we will need the assistance from our Legacy players to test the system out. Q7: Will the arcanist’s attribute points be shared between summoner and scholar? A7: No, they will not be shared. Q8: Are there any plans to implement additional Egi? A8: If we were going to implement additional Egi, it would be when we raise the level cap. Q9: Can you show us some in-game footage of the arcanist, summoner, and scholar? While showing the new classes and jobs Yoshida explained that despite what many thought, Arcanist will be a DPS class, but since it’s also a pet class using Carbuncle will be necessary to deal a lot of damage. There is also a skill to heal your pet using your own HP called Carbuncle Emerald. Summoner is a DPS as well, and will use Garuda Egi and Ifrit Egi for damage (Ifrit for close range, Garuda at long range), while Titan Egi is a tank pet. Like Arcanist, Summoner uses a lot of DOT (Damage Over Time) attacks to deal damage. Scholar is different from white mage as it both heals and buffs at the same time. For instance you can heal and apply a shield similar to Stone Skin that absorbs damage at the same time. Eight player content will be better balanced having one white mage and one scholar instead of two white mages. Q10: Just like how arcanist has summoner and scholar with differing roles, I’m sure in the future there will be other classes that have different branching roles. What kind of jobs are you planning to add to classes? A10: Of course we have plans. It’s probably a bit early to talk about this, but we are of course thinking about plans for how to continue development with the expansion we are referring to as 3.0 and other patches. 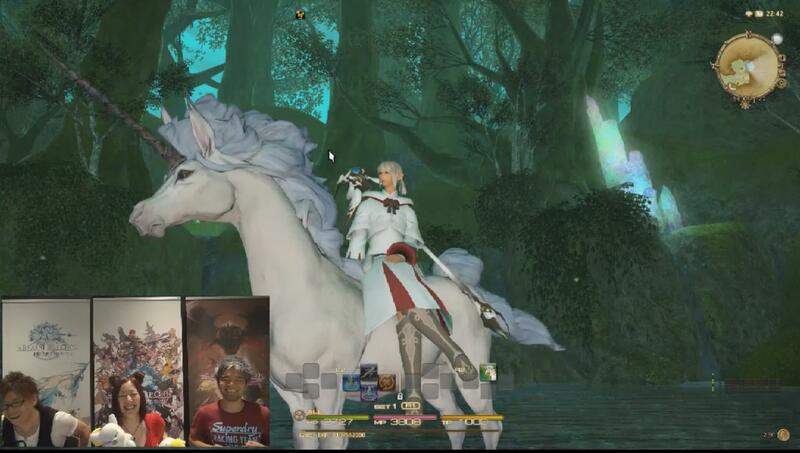 Q11: Will there be any additional payment methods other than credit card and Square Enix Crysta? Q12: Are you planning to have a world transfer service? A12: As this is a game with world barriers, we will be preparing this service so you can move to the same world as old friends as well as new people you meet and become friends with through the Duty Finder. We plan on starting this fee-based service that will allow you to transfer to the world of your choice around 2-3 weeks after launch. Once we have finalized the details we will be sure to let you know. Q13: When will the smart phone application be released? A13: We are currently planning to release the application a week after launch. Please note that the application can be used free of charge. 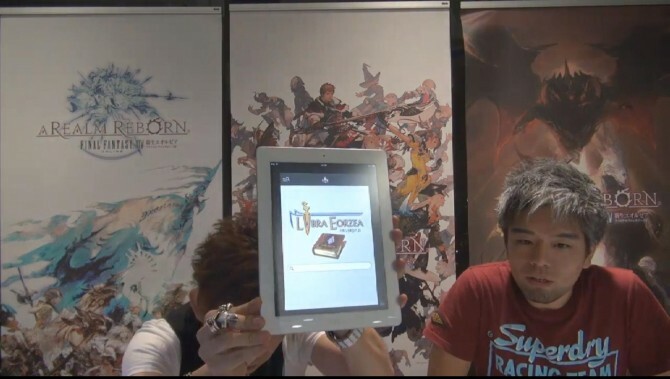 The application will initially be released for iOS and is named “Libra Eorzea.” Players will be able to view their character information, stats of items, quests, instanced dungeons, etc. Also, the application will be linked with the database that will be placed on the Lodestone. Q14: In the Player Feedback Status List you mentioned “it’s thought that players would wait until the last minute to repair gear. Doing this would cause a lot of stress worrying about gear damage while playing content when your gear is nearly broken, so we’ve made it so that regardless of when you repair your gear the cost does not change.” However, this is a strange reason to do this. Please go into more details about the thought process behind this. A14: As you’ve said, it shouldn’t be a flat rate. Sorry about that. We missed this edit. In Beta Test phase 4, the repair cost will change depending on the amount of durability remaining instead of a flat rate. By the way, when retrying primal battles and such, gear durability will be reduced quite a bit, so we will be easing up on the penalties when the entire party wipes. Q15: Will we ever be able to transfer item/gil between characters on the same account and World? A15: We currently have no plans to implement this feature do to various reason such as preventing RMT from abusing the feature. Q16: What features will we be able to change in the barber shop? A16: You will be able to change your character’s hairstyle, hair color, eye color, face paint, color of the face paint, and beard. We currently plan to release the barber shop feature in patch 2.1 (initial patch), so please don’t stress too much when creating your character! Q17: When will be able to obtain the new “heat resistant” gear? A17: The new “heat resistant” gear will be available during one of the seasonal events called the “Moonfire Faire.” The seasonal event should be introduced around a week after launch. Please note that the heat resistant gear will be swimsuits! Artwork for other seasonal events like the Starlight Celebration (Christmas) and Valentine Day was also showcased. If you check the partly hidden artwork below, you can see the new year’s Kabuto (samurai helmets). Every year in the original Final Fantasy XIV the new year celebration included Kabuto with a crest reproducing the Chinese year’s animal. 2014 will be the year of the horse, and you can clearly see that the crest is indeed a horse’s head, even if Yoshida-san tried (not very successfully) to hide it. 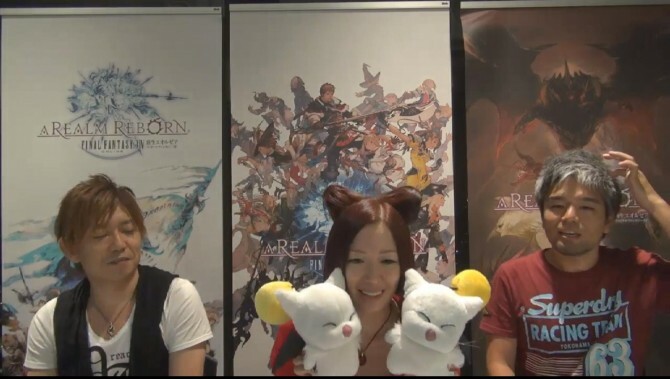 At this point the lovely Rie Tanaka, voice of Garuda and Kan E Senna in the game, made her entrance accompanied by two moogle plushies. After a bit of banter and asking Yoshida-san why he wasn’t dressed as a miqo’te like in the Nico Nico event where she previously appeared, she took over asking the questions. She had a hairstyle resembling miqo’te ears and moogles painted on her nails. Q18: Will the primal battles be the same as what they were in 1.0? A18: There are slight changes (some of the elements are moved around, introduced a variety of visual notifications, etc.) made to the primal battles. Even the 1.0 players will be surprised of the changes. Please stay tuned! Q19: Please tell us what kind of bosses and mechanics are waiting for us in the Great Labyrinth of Bahamut and the Crystal Tower. Will primal equipment be necessary? A19: As there are most likely newcomers watching, let me explain simply to start off. The Great Labyrinth of Bahamut will be the hardest content at the start of ARR for a while. It will contain a lot of things such as what happened after the Seventh Umbral event. While I can’t really say too much about the mechanics, there will bosses that can only be defeated by performing certain actions and that have different phases. Without having a party that can deal the proper amount of damage, you won’t be able to move past certain phases. Additionally, there will be shared damage type of attacks that you will need to have 4 people get hit by, as well as have a certain character act as a channeler for the damage. There will be a lot of different elements present. The Crystal Tower is content that can be undertaken by a 24 person party. I don’t think that difficulty is really that hard, and we’ve adjusted it so it’s something that can be enjoyed by everyone. Yoshida-san explained that while playing the Bahamut Labyrinth we’ll learn what actually happened between the two games, when Louisoix teleported everyone through space and time for five years. It’ll be a very difficult dungeon for a eight player group, but then they’ll have to split in two groups of four players acting independently. The Crystal tower will be available for version 2.1 in 3-4 months. Q20: Will we ever be able to send tells from within an instanced area? A20: While the feature can be implemented, it’s currently masked. It’s currently masked because we would like to prevent players from harassing each other just because they know they would never party together in the future. We will continue to monitor the situation carefully as we move forward. Q21: Will we be able to fight the primal “Good King Moggle Mog XII” in ARR? A21: “Good King Moggle Mog XII” will be introduced in patch 2.1. Oh, on a side note, we plan to implement “extreme” versions of all the primals! 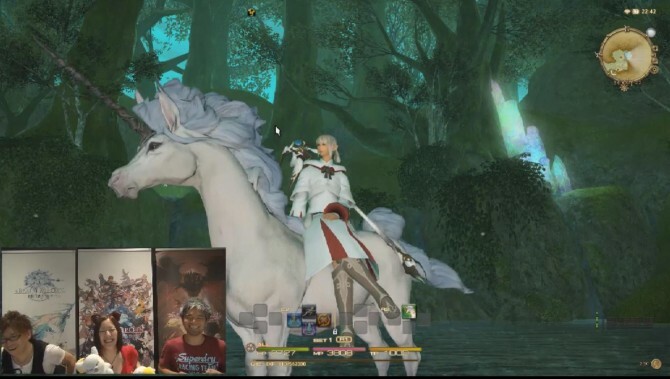 Q22: We’ve already seen chocobos and magitek armor mounts, but will you be adding even more? The mount will be part of the rewards for the conjurer class questline, but you’ll be able to use it with other classes. There will be other mounts achieved in different ways. Q23: You previously mentioned that you might restrict the number of times we are able to roll a NEED on loot. Have you decided if any restrictions will be in place? A23: After discussing the matter internally, we have decided not to implement any restrictions on the looting system. Q24: The starting stats are different for each race, but will these variations only be marginal when reaching level 50 or will differences arise? A24: It will be marginal. Q25: When will the job-specific armor for the companions be implemented? A25: They will be available at launch. Q26: If you make it possible to transfer items between characters on the same account, and you can transfer relics or other Unique/Untradable items, would it be possible to equip them on the character you transfer the items to? A26: No, if it’s for the above stated items, you wouldn’t be able to equip them unless they were acquired on that character. Q27: Can you show us any images of the furniture that we can place within our houses? Q28: I’ve heard that there is going to be a darklight armor for white mages. Is this true? A28: Yes, it is true! Q29: What’s the status of the marriage system? A29: We’d like to implement this as soon as possible in a way you can invite a lot of people. Q30: Is there any new information on the “rare weapon appearance” system? A30: After discussing the matter internally, we came to a conclusion that we are not ready to implement the system because of the various unique-looking weapons we have in the game. The basic idea behind the system is that players will be able to change the appearance of their weapon to something unique. It’s strictly a visual thing and it won’t have any impact on the stats. Q31: In addition to primal battles, will you also be implementing hard-mode for instanced dungeons? 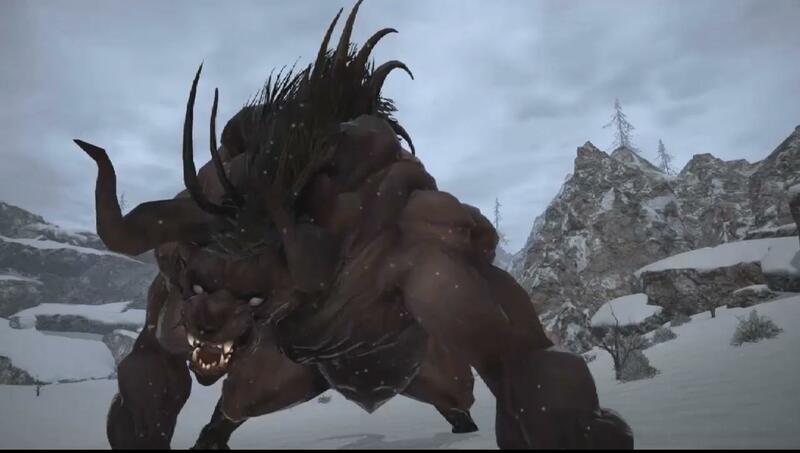 Q32: There are a number of primal battles in ARR, but will there be a Morbol’s Wrath kind of primal battle? A32: Well, we’ve implemented a high level morbol FATE, so please try and find it! Q33: Show us the Ul’dah and Gridania housing areas! A33: We should be able to show you next Letter from the Producer LIVE. Q34: Are there any surprise announcements you are hiding and planning to mention right before launch? Q35: Will the Free Company housing be in the area of the Grand Company we belong to? A35: There are no real restrictions on this, so you can build your house in the location of your choice. Q36: What’s the status of the treasure map idea? A36: Being able to play this content is not very far away. We are planning on fleshing out the system for a beastmen tribe related to treasure maps. Q37: Will housing areas be implemented in Coerthas and Ishgard in the future? A37: After implementing the housing area in the initial three regions, we will add housing areas to other regions if we receive enough requests! Yoshida actually asked if the players are willing to have a house where a Behemoth can come and attack them. Q38: Will you be able to have your minions run loose in your house or set them up as furniture? A38: I think it would be possible, so I will let the lead know. Q39: When we change our grand company, we are unable to equip any of our previous grand company gear. Could you let us convert our previous gear into seals? A39: We would like our players to choose their grand company based on their play styles. This also means that we assume players may go back to their original grand company at some point. Therefore, we currently have no plans to implement a trade-in feature. Q40: When randomly choosing content through the Duty Finder you said that the rewards will become significantly better, but exactly what kind of rewards get better? A40: The percentage of tokens you can obtain will increase. We’ve decided to implement this once we add a bit more level 50 dungeons. Q41: I heard that you can reallocate your attribute points, but will this be something you can do easily multiple times? A41: It won’t be something you can do so easily. For example, it’s not like you will be able to allocate them so today you can challenge the Great Labyrinth of Bahamut as scholar, and tomorrow allocate them so you can go as summoner. Q42: Could you show us some in-game footage of PvP? Q43: Could you provide us more information on when we will be able to develop add-ons and when official add-ons will be released? A43: We just started working on an environment that players can use to create add-ons. Therefore, we should be able to provide an update around 8 months after launch. 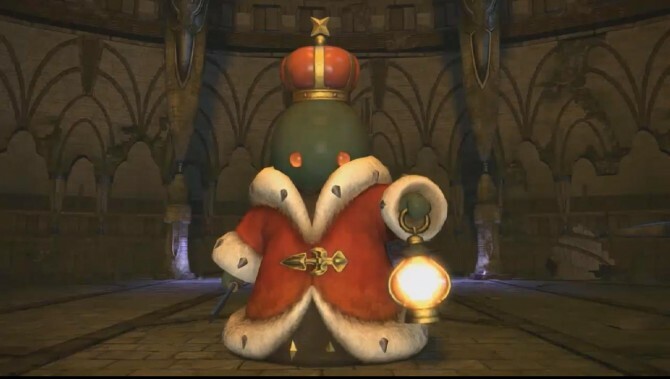 Q44: When coming back for ARR, I heard there would be a Welcome Back Campaign, but could you tell us the time period and other details for this? A44: Those of you who played FFXIV 1.0 will be able to play ARR free until September 9, 2013. Q45: Are there any plans to implement an item that can be used to change the appearance of our characters? The feature you are referring to is called the veteran reward system. Players will receive rewards based on the accumulated subscription period. While there are many subscription plans in ARR, players will receive rewards for every 30 days of subscription. Furthermore, the unique feature about the system is that players will receive the reward immediately upon subscribing for more than 30 days. For example, if a player subscribes for 90 days, they will immediately receive the reward for subscribing 30 days, 60 days, and 90 days. Please note that we will continue to implement additional rewards (120 days, 180 days, etc.) via future patches. After this there was a lot of talk about events that Yoshida-san will attend, namely Gamescom, a launch event in Tokyo and PAX Prime, and that pretty much wrapped the Letter from the Producer Live up. 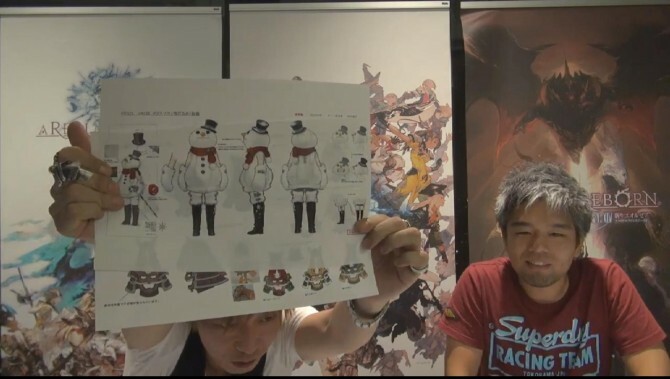 Below you can see quite a lot of relevant screencaps from the stream, including all the artwork that was shown. Unfortunately towards the end my Fraps stopped working for some reason, so I missed a few. I integrated mine with some by Rogue Muse from the official Lodestone Forums (thanks a lot Rogue!). Resolution is a little different, but they’re much better than nothing.